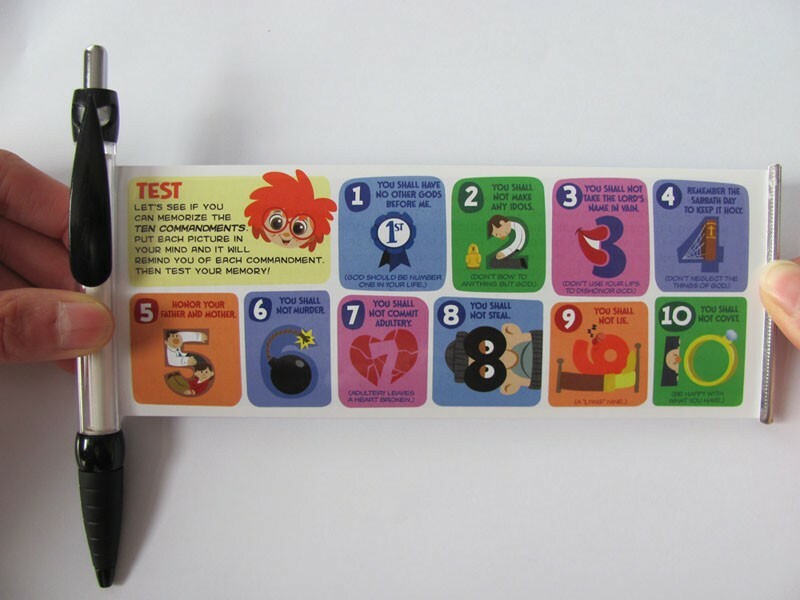 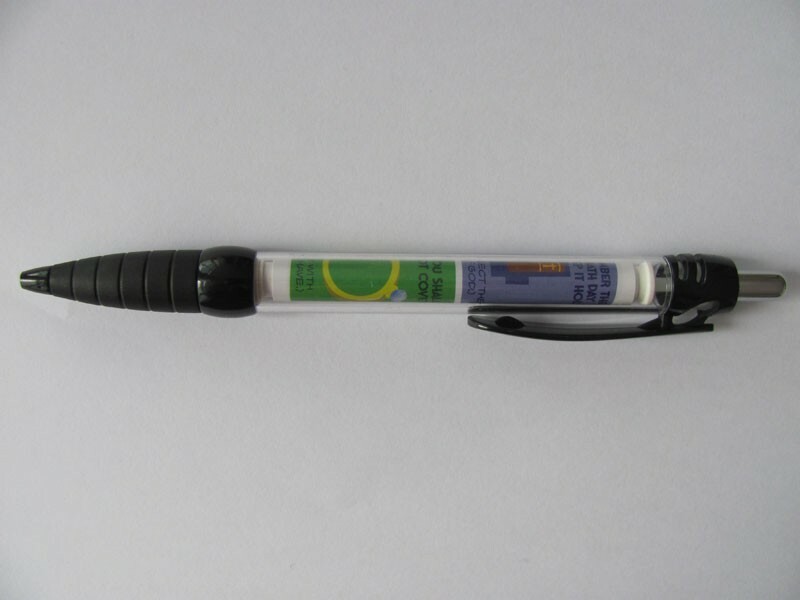 These pens have a retractable banner inside that teaches kids (and adults!) 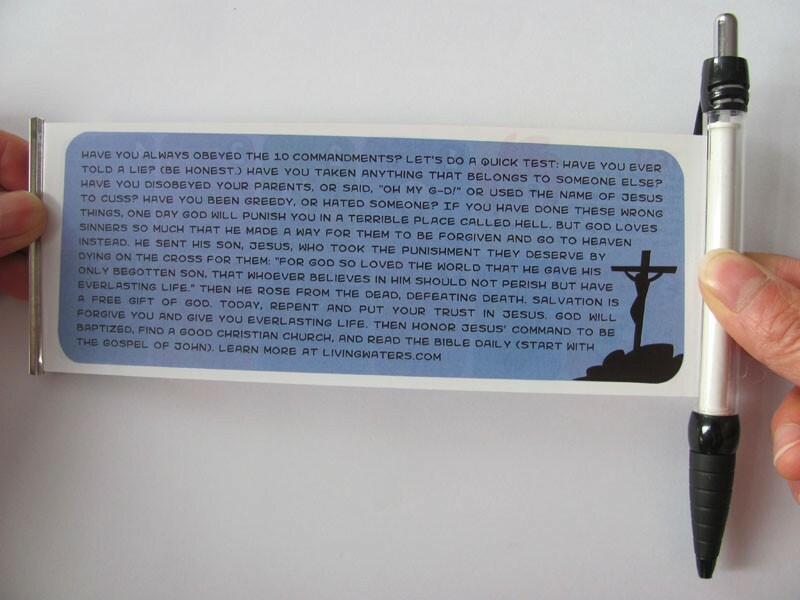 to learn the Ten Commandments. 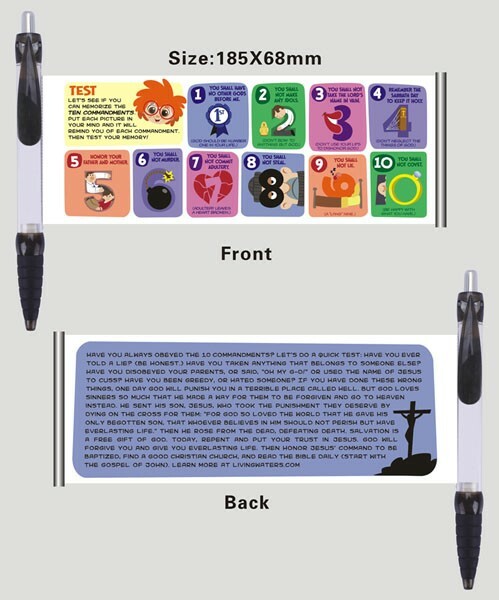 Perfect for VBS, Sunday School, or any outreach for younger children, these pens have a retractable banner inside that teaches them how to learn the Ten Commandments.